Explore Data Science Academy will train 100 data scientists a year. 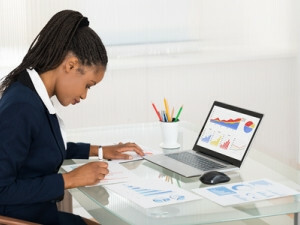 Cape Town will be home to a new data science academy and BCX (formerly Business Connexion) has come on board as a founder sponsor, with a R50 million investment to train 300 interns. There is demand for data scientists in SA, and the rest of the world, that far exceeds supply. The Explore Data Science Academy aims to change that. Through the academy, BCX will sponsor 300 interns over the next three years, as well as provide additional courses for executives in this skill. The academy is reportedly the first institution in the country focused on data science. BCX says it committed its support after recognising the huge need for data science skills within corporates in SA. The first 100 interns will have until 31 October to apply for a spot in the first intake for the school's one-year accredited skills data science programme, which will start in January. There are no restrictions to entry for the one-year course, nor are formal qualifications required. Applicants should be between 17 and 35 years of age and must pass a challenging aptitude test on the academy's Web site. Successful candidates will spend the year between the classroom, on-the-job training and team-based project work. They will be taught how to use tools like Python, Tableau, SQL and Scikit-learn, which are routinely required when building data science applications. While job placement at the end of the year is not guaranteed, the academy is confident uptake of candidates will be strong given the shortage of skills. There will also be stipends available to cover the living expenses of successful candidates who are in financial need. The Explore Data Science Academy was founded by qualified data scientists Shaun Dippnall, Dave Strugnell and Aidan Helmbold. Strugnell was former head of UCT's division of actuarial science. Dippnall was previously an actuarial lecturer at UKZN, but more recently served as both a chief actuary and chief data scientist at some of the largest corporates in SA. Both Helmbold and Strugnell have held executive positions in their roles as actuaries and data scientists. "Ours is a unique, one-of-a-kind course in that it is free, practical, has real-world relevance and provides work experience. We also like the fact that it is open to anyone with aptitude," says Dippnall. The academy says its programme differs from university degrees, as it focuses on practical application not theory. The programme also does not cost as much as a degree in data science would. "The support from BCX allows our interns crucial access to real-world challenges. What's more, the spectrum of programmes we offer simulate the teamwork required when working with data in a corporate environment," Dippnall says. Ian Russell, CEO of BCX, says: "In a rapidly changing business landscape, data science has become a core skill for corporates who are looking to digitise their operations and leverage big data. We look forward to welcoming the first interns to BCX as a result of this programme. "Data science is integral to the future of our business and many others. For this reason we have committed, through our agreement with the Explore Data Science Academy, to sponsor a minimum of 300 interns over the next three years." The course will be held at the academy's premises in the Bandwidth Barn in Cape Town's Woodstock. The academy will be designated as a Seta-accredited skills programme, with the expectation that it will receive accreditation by the end of the year.